HOW MANY WORKERS COMPENSATION LEADS ARE AVAILABLE ? May take up to 10 Seconds. 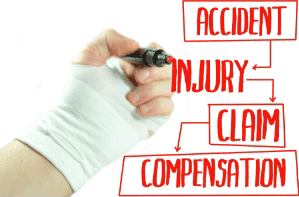 Why Live Transfer Workers Compensation Leads? Studies show that if your company fails to be the first to connect, you’re last. In fact, 78% of all sales are won by the company who first speaks to a prospective. Live transfer workers compensation leads allows you to be the first. Businesses are positioned to increase conversions by 391% when connecting with a prospect within one minute. Be Exclusive: We never share our live transfer workers comp leads. So, you’re not competing with other law firms for the same prospective claimant. Inbound live transfer calls could more than double conversions versus form filled accident injury leads. 61% of businesses who include live transfers leads in their advertising strategy consider those leads the preferred method. Mobile search patterns are expected to garner over 73 billion live calls during 2018. 70% of people who have conducted an online search have pursued click-to-call ads that were transferred to a business. Transfers from inbound calls could convert up to 10 times more than form filled leads. What if you could measurably improve your margins, efficiency, and retention rate simultaneously? Well, with On Point Legal Leads you can. 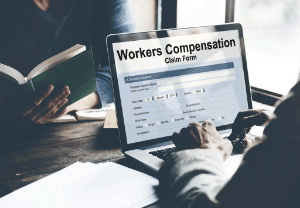 We generate live call transfer workers compensation leads from prospective claimants seeking legal representation due to a workers compensation injury. Although most claimant inquiries are generated via submission of data through a landing page, many claimants prefer – and are willing – to speak directly to a legal advocate. And, by adding this channel to your intake marketing strategy, you too can improve your results. After all, inbound calls eliminate the time consuming and tiring task of pursuing claimants for their business. And, including live transfer workers compensation leads can improve the time spent chasing unqualified leads. Law firms save valuable time using our live transfer workers comp leads campaigns. Rather than using paralegals and legal assistants to handle the grunt work that call centers can do, such as vetting prospective clients and dealing with ‘tire kickers,’ call center agents can devote their time and attention qualifying valuable clients. Only prospects who are in the last stage of the purchasing and decision making process are connected. This allows your firm to focus on the most important part of the sale – the close. Moreover, this should generate a more positive experience for the claimant. Nobody prefers speaking to an automated attendant. Live agents allow the claimant to open up with someone who shows empathy, not with a worker who is on a deadline. Knowing this, we strive to ensure your prospective clients are welcomed warmly and with open arms, and have answers to questions with as much knowledge as possible – by a real person – when they try to contact a legal advocate. So, look at us as an extension of your law firm when answering calls of prospective claimants seeking legal assistance. When callers reach out to us, they will be greeted by a professional and experienced agent in a state-of-the-art call center, ready to help them connect with your legal team. STEP 1: Prospective claimant goes online to search for an injury attorney who focuses on physical harm related to their employment. STEP 2: That person locates one of our ads (or affiliate’s ads) and either (a) clicks on the phone number shown in the ad, or (b) clicks the ad, gets directed to the landing page, then clicks the phone number on the page. STEP 3: Upon initiating the call, the caller is transferred to a live agent who screens the prospective claimant. Introduction Statement: Thank you for calling Legal Help Advocates, this is_________. Were you or a loved one injured in an accident? Must be Yes. Did you seek medical attention? Must be Yes. In which state did the accident happen? Must be a qualified state (see list). What was the date of the accident? Must be within last 12 months (24 months in some cases). Have you retained a lawyer for your case? Must be NO. Was a report filed about the injury with the employer? Must be Yes. Do you work for the federal government? Must be NO. Does the company you work for have 4 or more employees? Must be YES, you can omit this question if they say they are working for a large company (Walmart or Costco, for example). Was there a Death, Loss of Limb or Emergency Room stay? Looking for a Yes (We are not taking Mental issues or soft tissue work comp claims. This must be a serious or catastrophic injury, while working). Did the injury cause you to miss 90 days of work or more? Must be Yes. Were you at Fault for the accident? Must be No. Does the Person who caused the accident have insurance? Yes or I don’t Know. What type of Injury was sustained? Must have a stated Physical injury that required medical attention (Chiropractic, Emergency Room, Dental, Breaks, Death, Bleeding Head & Neck injuries etc. – Mental Injuries do not qualify). STEP 4: Once the call center agent speaking with the prospective claimant establishes he or she meets the required criteria, and determines that person is interested in speaking with a legal advocate, they are placed on a brief hold. Then, the agent reaches out to the law firm to ensure availability of a law firm representative, and to provide a more efficient and pleasant experience. STEP 5: The call is then transferred to the client’s agent, and the agent from the call center disconnects. Contact ratios increase by 900% when leads are called within the first 5 minutes. Waiting 30 minutes to reach out to leads decreases contact rates by 100 times. You can increase conversion rates 22% by contacting lead within first 5 minutes. 80% of sales need 5 follow-up calls following the meeting. 44% of sales agents give up after only 1 follow up attempt. Your contact ratio is 100% with inbound calls, unless your team is not available. Simply pick up the phone when our call center reaches out. You’ll be delighted to speak with qualified clients seeking legal representation, all without having to chase them for days and wasting valuable time and resources. Due to the fact that live transfer workers compensation leads inherently have the highest contact ratios, attorneys can spend less time prospecting and more time communicating with qualified claimants interested in legal representation. Let us increase your contact rate, improve your retention rate, and increase your intake. We never share our leads once they are transferred to your team. This is another factor that allows higher closing ratios. The bottom line is simple: when lead generation companies share leads, it dramatically decreases closing ratios. Let your marketing budget work as efficiently as possible. Let us help today. Many law firms have agents from outsourced call centers available 24 hours-per-day. However, if you’re a smaller firm that doesn’t have agents working around the clock, we can accommodate your days and hours of operation. Whether your firm can take calls only during the week, seven days a week, or limited hours, we can accommodate your needs. Get out of the rat race and let us do the work for you. Our experienced agents will qualify prospective clients to ensure you only speak with vetted individuals. Just think about the amount of time you can save without keeping tabs on call backs and email drip campaigns. Let the inbound call experts do the marketing and your firm can do the legal work. We screen all calls to ensure prospective claimants have real legal issues. Although our agents aren’t attorneys, nor pretend to be, they understand that ‘buyers are liars.’ Hence, they know how to screen for statutory of limitations issues and claimants who are already represented. We’re here to help save time, money, and efficiencies. Along with our affiliates and developers, we’ve been generating live agent-verified case leads for years. And, we’ve been using the same technologies and strategies that have generated re-orders from our law firm clients. We implement state-of-the art technologies and proprietary marketing strategies to increase our client’s intake. Try us out once, and you’ll be convinced. Virtually all of our services are run through our online portal, including reviewing past leads, submitting credit requests, and billing. Once your account is setup and login credentials input, you can see all the activity in your personal dashboard. And, we perform all initial input and setup so you can focus on what you do best . . . be a lawyer. Try On Point Legal Leads today. We abide by state and ABA attorney advertising rules. Hence, all our leads are generated by inbound calls. We never make outbound calls unless responding to an inquiry or following up on a previous inbound caller. Working within the scope of the rules is a top priority for us and all our clients. Be rest assured we follow the rules of attorney advertising and TCPA. On Point Legal Leads has been engaged in attorney leads since 2016, after the founder graduated law school. Our success in this industry is driven by our academic and professional experience in personal injury law, which includes legal intake and marketing services as well as legal research and writing. We do have legal experience. Although leads may be screened by one of our experienced agents, not all prospective claimants give honest answers. If that happens, we will review the call transaction to determine if it was truly unqualified. We have a quick-response customer service philosophy. Notably, replacements on live transfer leads are inherently less common than web form filled leads. Once we screen and transfer a prospective client, that client is yours. We have always geared our marketing campaigns towards exclusive lead generation. We do not take transferred calls then connect them with another attorney. Hence, no shared leads means less competition, higher retention ratios, and higher returns on your marketing dollars. This isn’t our first rodeo. Quality lead generation has been our focus since our founding. Our TCPA compliant call centers monitor and supervise agents to ensure all check-points have been met. This helps ensure agents transfer the highest-intent prospective claimants actively interested in legal representation due to an injury. Your firm could generate higher returns when adding live inbound call transfers. Increasing contact and retention ratios from confirmed prospects means more bang for the buck for your attorney advertising budget. And, it means less time pursuing prospects who don’t qualify. If you want to get the most out of your marketing, consider our live transfer workers comp leads. We can work within your hours of operation. Typically, attorneys run five to six days per week at least twelve hours per day. Some firms work limited weekend hours to increase contact and retention rates. You easily pause your call campaigns while continuing to receive web form filled leads. Whatever your days and hours of operation, we are flexible and can generate calls fit for your schedule. You can listen to recordings of calls sent to you. This allows you to maintain compliance from a legal and professional standpoint, as well as provide insight into best business and sales strategies. And, if there is any need to review the initial call you will have that access. Don’t have your legal assistants, paralegals, and licensed attorneys put valuable time and energy into making call attempts and sales calls. Instead, allow our professional agents to transfer inbound calls of qualified “warm” prospective claimants who are interested in your services. We filter unqualified prospective case inquiries asking questions associated with their status as it relates to fault (when needed), attorney representation, date of incident, type of injury, degree of harm, biographical information, and any additional standard criteria associated with the claim.